Just in time for the 4th of July, Sonic presents their Ultimate Cheese and Bacon Cheesy Bread Dog and their Garlic Parmesan Cheesy Bread Dog! By our count, that brings to 10 the number of different coney's and hot dogs they have including their authentic Chicago dog and your basic corn dog. "The two new adventurous offerings are sure to satisfy any summer hot dog cravings. 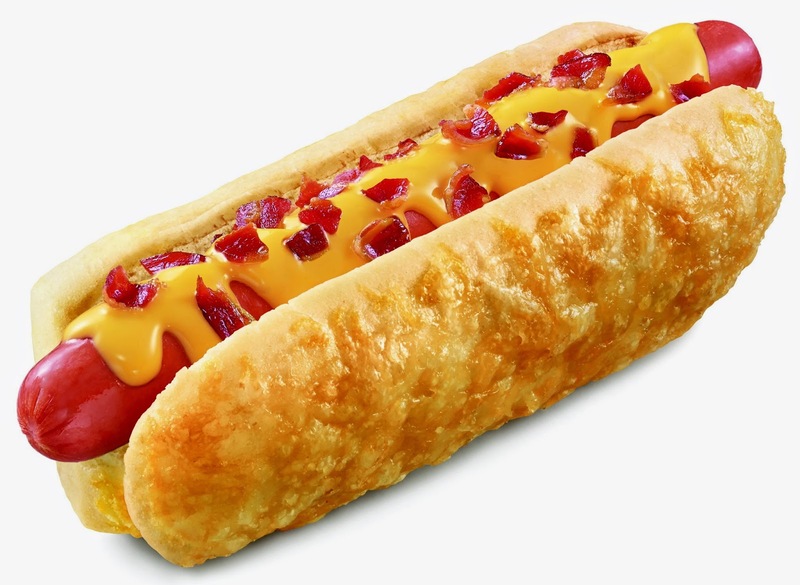 The Ultimate Cheese and Bacon Cheesy Bread Dog takes a warm, soft hot dog bun with cheddar cheese baked right on it and tops the 100 percent pure beef dog with melty cheddar cheese sauce and crispy bacon. The Garlic Parmesan Cheesy Bread Dog takes the same delicious pure beef dog and warm cheddar bun and adds zesty Garlic Parmesan Sauce and grilled onions for those who like a little zing with their dogs."